The wind blew up during the night. It was so strong that it was rocking the van even without the awning up. There was one good thing about the wind, it was a strong southerly, so that meant we had a good tail wind for the rest of the day. We took pitty on a couple of people that we saw during the day. They were riding old postie bikes loaded up to the max. Picture long distance mountain bike riders that have all of their gear strapped all over their bikes with the saddles etc. These two little postie bikes were pretty much loaded up the same way and heading up a hill into a stiff head wind. I think peddling a mountain bike would have been faster. 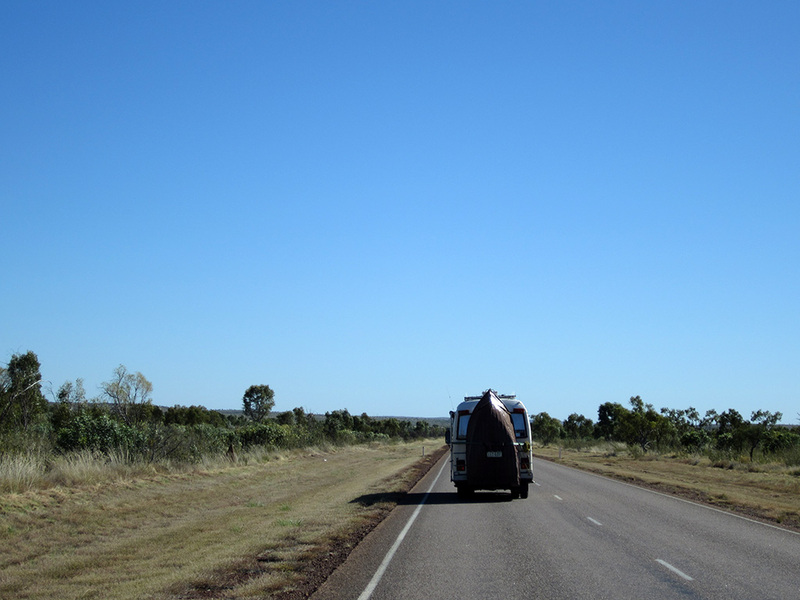 We couldn't believe how many vans and campers were on the road. 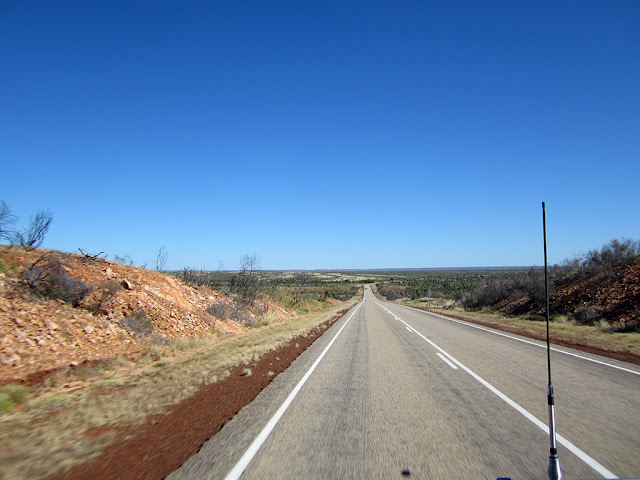 Since we hit the main highway from Alice Springs north it was unbelievable. I am sure from a plane it must look like those long lines of hairy caterpillars that you see following each other nose to tail. It was basically the same but with vehicles towing things of all shapes and sizes. There should come a point when people should ask themselves, do I really have room to that that with me. It was held on by ratchet straps!! Gone was the long flat pains where you could see horizon to horizon. We were back to where the vegetation was growing close up to the road. 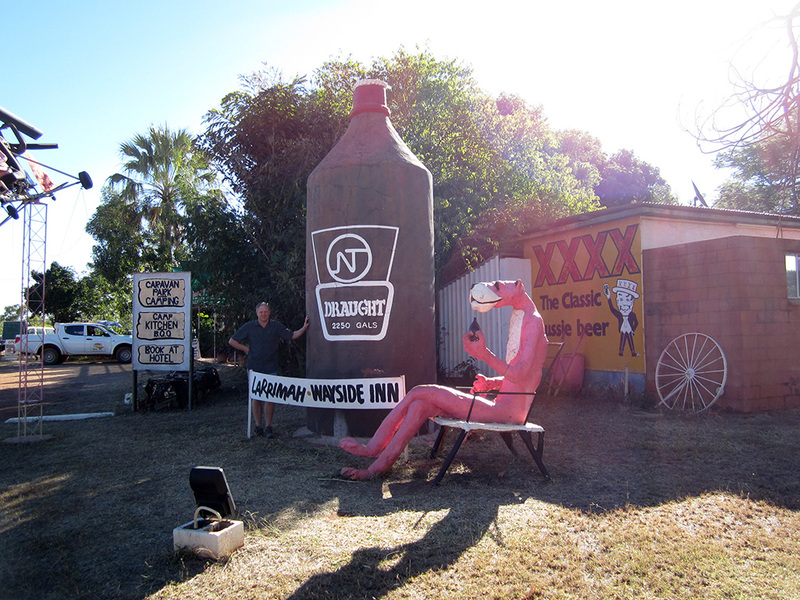 Stopped in at the Larrimah pub for a break with the Pink Panther. 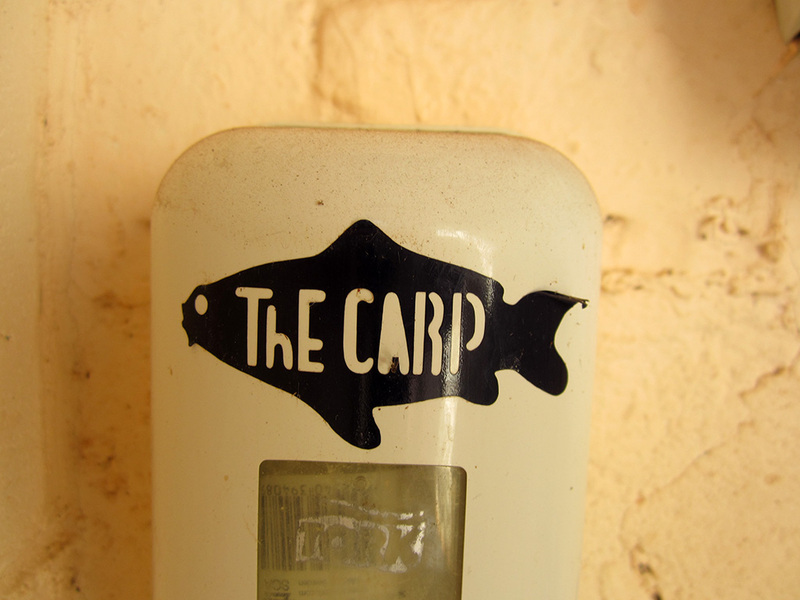 While having a comfort break I also spotted another “The CARP” logo. This time I had my camera and remembered to take a photo! We were going to try and stay at the Bitter Springs van park because it was closest to the Bitter Springs for swimming. We hadn't made a booking and when we turned up there was no vacancy, even for unpowered. 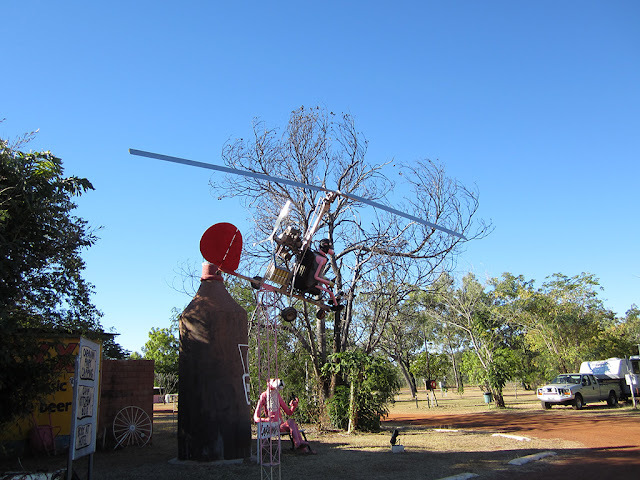 We knew that Jodies parents were staying with some friends at the Elsey National Park so we though we would give that a try. We were lucky enough to find a spot there. We later heard through the caretaker at the national park that all 3 van parks in Mataranka were full and they had 50 people in the national park. It worked out well as it allowed us to catch up with Jodies parents and some of the friends that they were travelling with, John and Carrol.